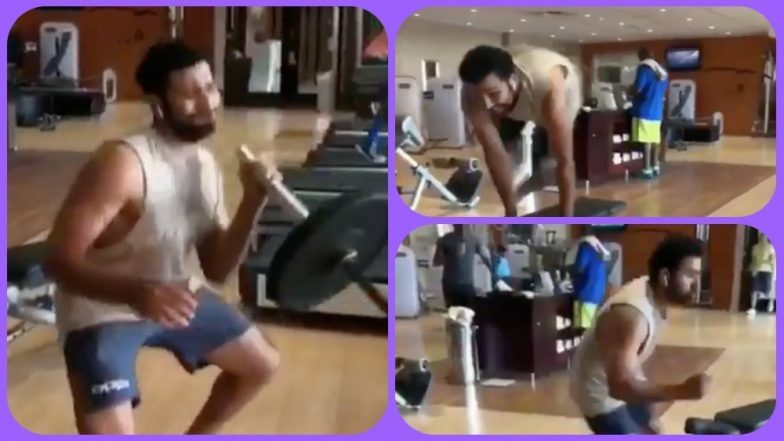 Ahead of the India vs Bangladesh Asia Cup 2018 final, Indian stand-in captain Rohit Sharma was seen training hard at the gym. India take on Bangladesh in the summit clash at the Dubai International Cricket Stadium and the Rohit Sharma-led side start as favourites. Rohit did not feature in the game against Afghanistan, which ended in a tie. He along with Shikhar Dhawan, Bhuvneshwar Kumar, and Jasprit Bumrah were rested for the Super Four round match. India's Road to Asia Cup 2018 Final: Sans Virat Kohli, Rohit Sharma's Men in Blue Put On A Great Show, Ready For Final Frontier at Dubai! Rohit personally has been in good form. After scoring 23 against Hong Kong, the right-handed batsman went on to notch two half-centuries and a century. He scored 52 against Pakistan in the group stage match and then remained unbeaten on 83 and 111 against Bangladesh and Pakistan respectively in the Super Four round match. Meanwhile, India will be chasing their seventh Asia Cup title on Friday. Out of 13 editions, India have been the most successful team, having won a record number of six titles while Sri Lanka comes second with five trophies. Pakistan, on the other hand, have won the Asia Cup twice. Both Sri Lanka and Pakistan have been eliminated. Bangladesh, on the other hand, will be hoping for their maiden Asia Cup title. Asia Cup 2018 Final: Here's What Happened When India and Bangladesh Met in Asia Cup 2016 Final (Watch Video). Skipper Rohit and Dhawan will be once again key to India’s success. The duo has helped team India get off to a solid start in the previous matches. In the bowling department, the return of Bhuvneshwar and Bumrah will also strengthen the defending champions.